There is nothing more beautiful in the world of two people who deeply love each other and promise themselves to stay together till the death parts them. 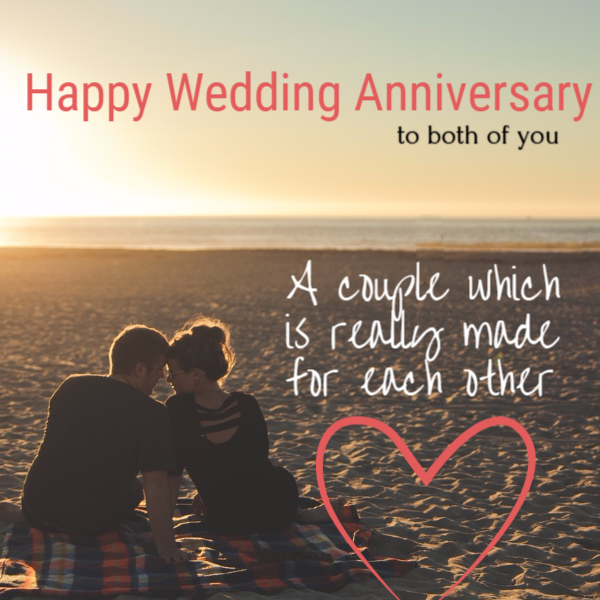 Anniversary is a very special day of celebration when people re-think their commitments and express their love and respect towards each other. 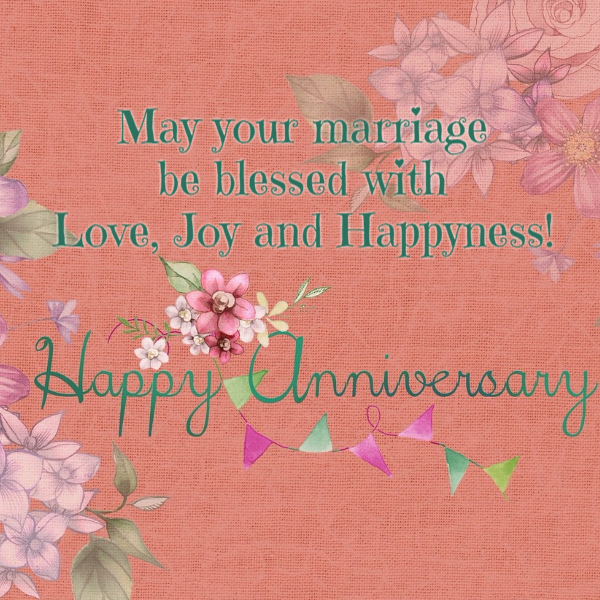 If any of your dear one’s anniversary is around, you may want to send a card with your wishes vie email or share it on their social profiles. We have prepared a few wishes with images that will immediately grab the heart of their recipient. 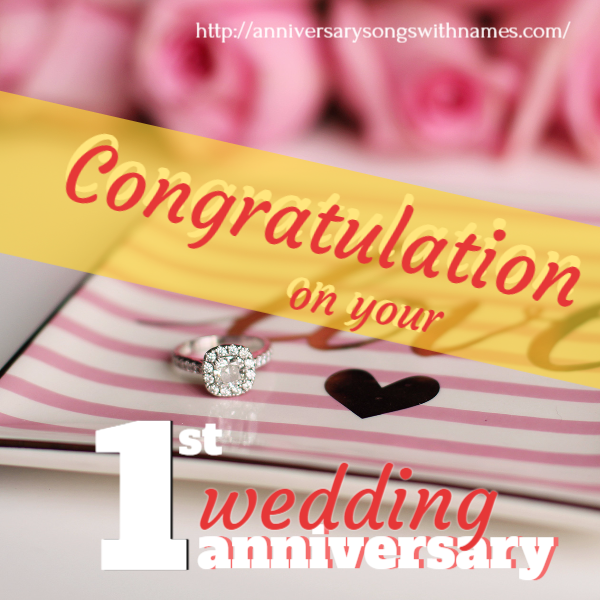 Also, you can surprise your marriage partner with an anniversary song with his/her name it at the celebration . That memory will last forever. I can guarantee. 3. Life is only traveled once . Today’s moment becomes tomorrow’s memory. Enjoy! Happy Anniversary. 4. 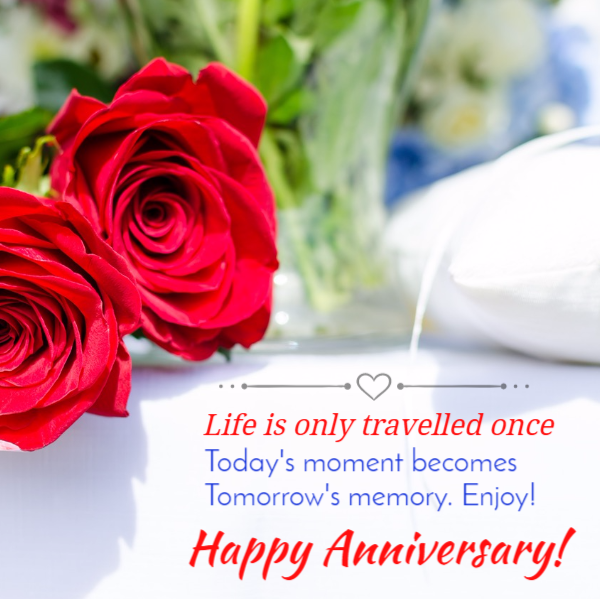 Our anniversary is not meant to be a reminder of a long journey. 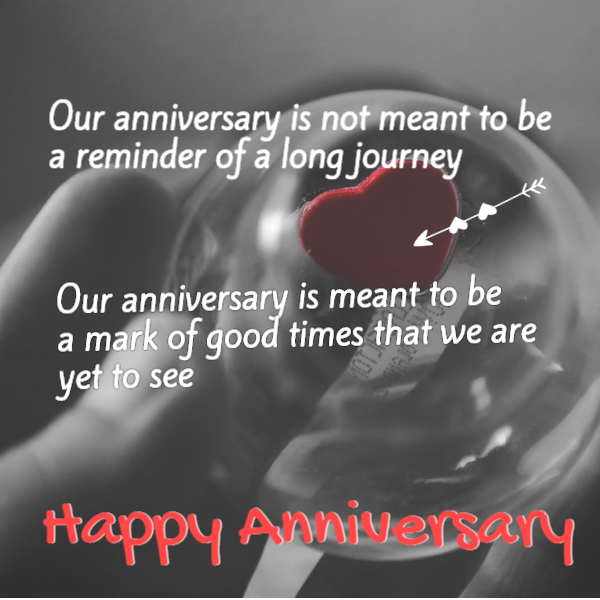 Our anniversary is meant to be a mark of good times that we are yet to see. Happy Anniversary. 5. 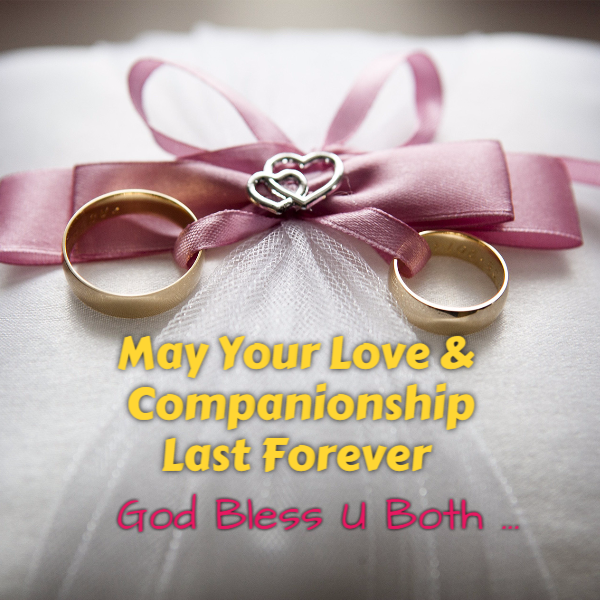 May your marriage be blessed with Love, Joy and Happiness! 6. 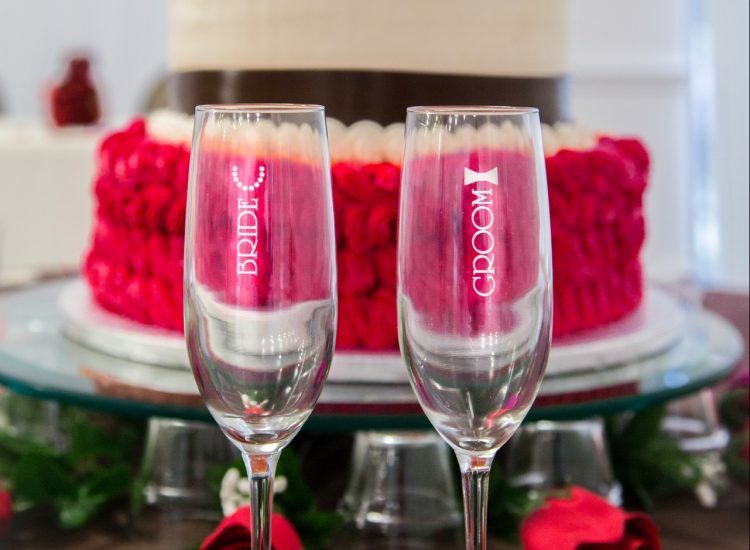 Congratulation on your 1st Anniversary!